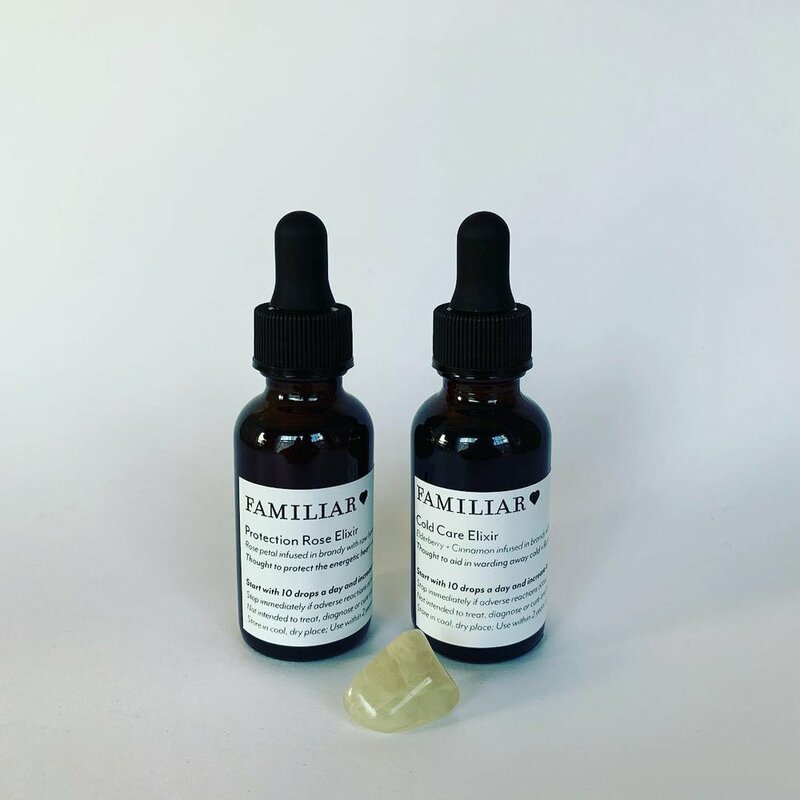 Handmade herbal products made with intention and care, in ceremony, for the discerning consumer who desires ethical, gender neutral and low waste self care. I use no synthetics or additives, and I do my best to source my herbs, clays and oils as ethically, organically, and close to the USA as possible. I only use wild crafted herbs when it will not harm the environment and when the plant is not at risk. I infuse each jar with Reiki energy to further enhance the healing benefit of the herbs I use. I use glass jars with metal lids to promote reusable, durable packaging without plastic whenever possible to ensure ability to refill or recycle when the life of the product is complete. I also compost all the waste products of my formulations, and avoid waste accumulation by offering local pickup in Milwaukee, reusing packing and shipping materials as well as compostable/recyclable paper, cardboard, and paper tape. I plan to eventually transition to 100% compostable shipping material. FAMILIAR does not treat, diagnose or cure any disease. FAMILIAR does not recommend or endorse any specific tests, practices, products, procedures, opinions, or other information. Reliance on any information or lore provided by FAMILIAR is solely at your own risk. FAMILIAR and it's employees rely on herbal lore and history to create their remedies, and are NOT medical professionals. FAMILAR encourages you to speak with a doctor before using any products or information gained from FAMILIAR. All content found on the FAMILIAR Website, including: text, images, audio, or other formats were created for informational purposes only. The Content is not intended to be a substitute for professional medical advice, diagnosis, or treatment. Always seek the advice of your physician or other qualified health provider with any questions you may have regarding a medical condition. Never disregard professional medical advice or delay in seeking it because of something you have read on this Website. If you think you may have a medical emergency, call your doctor and 911 immediately.